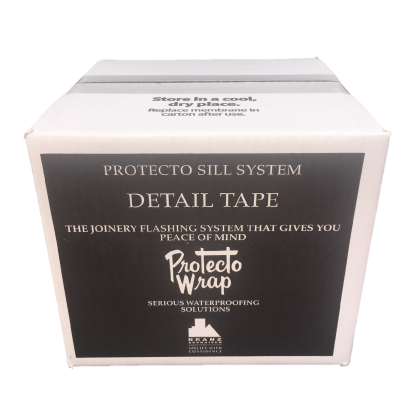 Protecto Detail Tape is a highly conformable membrane tape which is used as part of both the Protecto Sill System and Protecto Wall Tanking System. It can be formed and stretched into any shape and has an incredible ability to bond to itself. Meets the and exceeds the requirements of the New Zealand Building Code (NZBC) Acceptable Solution E2/AS1.